Environmental Protection Agency (EPA) Acting Administrator Andrew Wheeler may have violated his ethics pledge by participating in matters on which he previously lobbied and by holding meetings with his previous clients. 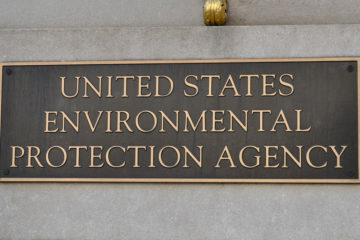 CREW filed a complaint with the Office of the Inspector General at the EPA requesting an investigation. As a condition of his appointment, Wheeler signed an ethics pledge barring him from participating for two years in any particular matter or specific issue area on which he lobbied within two years of his appointment. The pledge also prohibits Wheeler from participating in matters involving his previous clients. 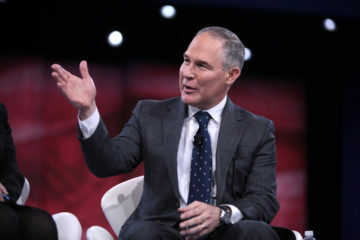 According to the complaint, Wheeler violated the pledge by participating in coal ash regulations and the Affordable Clean Energy rule as well as holding meetings with his former clients Darling Ingredients, Growth Energy, and the Archer Daniels Midland Company. Wheeler’s repeated participation in these meetings and regulatory actions also creates the appearance of a lack of impartiality that may have violated the Standards of Ethical Conduct for Executive Branch Employees. The complaint also points to evidence that Wheeler violated the Ethics in Government Act (EIGA) by failing to disclose Darling Ingredients as a former client on his OGE Form 278. CREW found that Darling paid $270,000 to Faegre, Wheeler’s former firm, for lobbying services between January 2015 and May 2016. Wheeler failed to disclose Darling on his OGE Form 278 despite being a registered lobbyist for the company. According to the EIGA, a filer may be subject to a civil penalty of up to $50,000 for knowingly failing to reported any required information. CREW's initial investigation letter relied significantly on information in a New York Times report that the Times corrected last week.